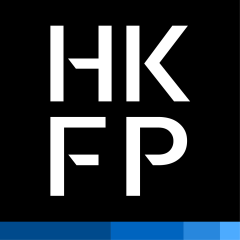 The following was originally published as a series of articles written by Tom Grundy and Kris Cheng on Hong Kong Free Press on June 16, 2016. They have been edited together into article and is published on Global Voices as part of a content-sharing agreement. Five booksellers who went missing from Thailand, China and Hong Kong in 2015 have suddenly turned up both in person and on TV over the last several months in Hong Kong. In what may be a response to international pressure, these appearances have allowed them to “clarify” for the public that they voluntarily assisted mainland Chinese authorities in a criminal investigation. Given that all five sold books critical of the Chinese government, very few people are buying story. And now one of them is speaking out. Lam Wing-kee, the founder of Causeway Bay Bookstore in Hong Kong, went missing on October 24. He held an impromptu press conference at Hong Kong's legislature on June 16, where he told reporters that he was held by a kind of “special unit” in China and that he was forced to make a confession on TV in February. Lam returned to Hong Kong on June 14, accompanied by two men. He said mainland Chinese authorities offered to release him if he handed over a hard drive containing a list of customers from the Causeway Bay Bookstore by June 16. He was due to return to the mainland with the hard drive, but he turned back after reading news about Hong Kong people protesting his arrest. The hard drive demanded by the Chinese authorities contained sales records of some 600 people's names and 4,000 book titles from the bookstore. Lam said the special unit had already obtained a copy of the hard drive from another missing bookseller, Lee Bo, during his brief return from mainland China to Hong Kong in March. Describing the details of his eight-month detention, Lam said that he was intercepted at the mainland border crossing on October 24, 2015. He was handcuffed, his eyes were covered, and he was taken from Shenzhen to Ningbo on China's eastern coast by train the next day. He said he was held in a 200 to 300 square foot room in a large compound for five months until March 2016. Lam was not allowed to see a lawyer or communicate with his family, and says that six groups of people took turns monitoring him closely. He wasn't allowed to leave, he said. However, after many requests, he was allowed books to read. I did not believe it would happen to me – it was an absurd place […] It was not realistic… I hoped I was in another place, or that it was a dream, that it was not reality. I am a Hong Konger, I am a free man, I did not break any law in Hong Kong, but I was arrested without any reason. He was forced into making a public confession on Hong Kong broadcaster Phoenix TV in February. Of the experience, he explained there was a director and a script for him to practice; he said he did not have the courage to refuse to go though with it, although he did not think he committed any crime. After the confession, he was sent to Shaoguan in southeast China to work at a library, with less restrictions in March. Accompanied by lawmaker Albert Ho Chun-yan at the press conference, Lam told reporters that he could not understand what law he may have violated, as it was legal in Hong Kong to send books to the mainland. “If I broke Chinese laws they can sue me, why did the Chinese government grab me silently when I crossed the border?” he said. 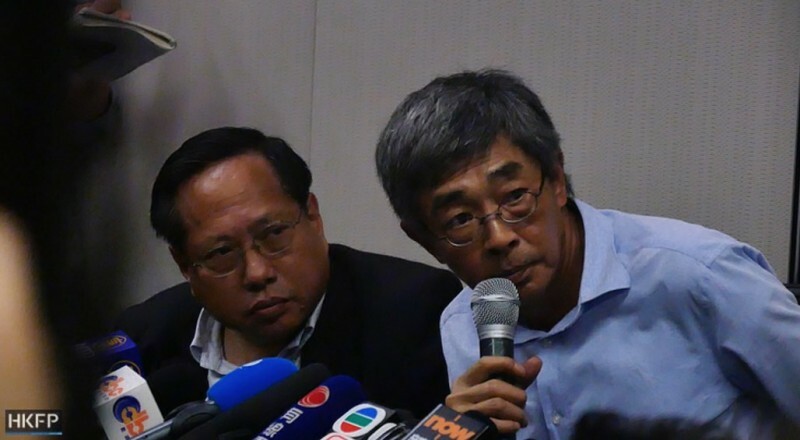 “This is not just my personal matter or Causeway Bay Books, this is about the human rights of Hong Kong people,” he said, saying that it was blatant violation of the “One Country, Two Systems” principle. Hong Kong is a special administrative region of China and is supposed to have a high degree of autonomy from the mainland. Thanks to this so-called “One Country, Two Systems” principle, Hong Kong enjoys more freedoms than China, but there are fears that despite this set-up, the mainland is attempting to tighten its control over the region. Lam said on the day he was accosted on the mainland last October, he was originally planning to visit his girlfriend. She was also detained on the mainland as she had helped him with sending “banned” books into China. She was released on bail. He said it was unacceptable that his colleague Lee Bo was “kidnapped” from Hong Kong. Hong Kong has rule of law – I am not afraid for my personal safety, and I do not plan to go to the mainland again. […] This is the red line for Hong Kong people – Hong Kong people will not give in to the powerful regime. I hope Hong Kong people can say no to the authoritarian regime […] If I can, why can’t you? I was born and raised in Hong Kong – I don’t have to leave. He has exposed what many have suspected all along: that this was a concerted operation by the Chinese authorities to go after the booksellers. It seems clear he, and most likely the others, were arbitrarily detained, ill-treated and forced to confess. The plight of the other booksellers still in mainland China is extremely worrying. They must be granted access to lawyers and where appropriate consular assistance. Lam's colleague Lee Bo issued a public post on Facebook denying Lam’s claims, saying he voluntarily went to the mainland using his own methods to assist in an investigation. Booksellers Lui Por and Cheung Chi-ping, who also went missing in Shenzhen and Dongguan respectively, had returned to Hong Kong but went back to the mainland soon after. Gui Minhai, another bookseller at Causeway Bay Books who went missing while in Thailand, has yet to be released from detention on the mainland.